Mr. Figari, a founder of the firm, began his legal career as a judicial clerk for the Honorable Sarah T. Hughes, in the United States District Court for the Northern District of Texas. In 1986, he and a small group of lawyers sharing a similar outlook on the practice of law established Figari + Davenport. With an emphasis on quality and superior client service, Figari + Davenport soon established a strong reputation as one of the first highly successful litigation boutiques. The firm celebrated its 25th anniversary recently. Over the course of his legal career, Mr. Figari has tried over 100 cases throughout Texas and the United States and become a leading figure in the Texas legal community. 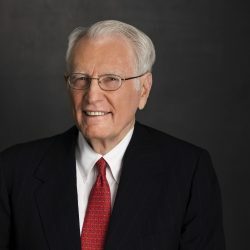 He has represented clients in a variety of businesses and industries in a vast array of litigation matters, ranging from complex contractual cases and partnership disputes, to banking litigation, civil rights matters and intellectual property cases. One of the things that Mr. Figari enjoys best about practicing law is the ability to be creative. Clients retain him to grapple with cutting edge issues that often involve uncharted territory and demand an innovative approach. His dedication to gaining every advantage for his clients, and unearthing the winning legal strategy, has led the way to many successful outcomes. As testimony to his esteemed place in the legal community, Mr. Figari was named “Trial Lawyer of the Year” by the Dallas Bar Association in 2000. He has been recognized in The Best Lawyers in America every year as a business litigation attorney since the inception of that publication in 1983, and was named one of the 15 “Top Business-Defense Lawyers in the D-FW Metroplex” by the Dallas Business Journal in June 2006. Mr. Figari also has helped to shape the next generation of lawyers by teaching trial procedure and evidence as an adjunct professor at both Southern Methodist University and the University of Texas' law schools, authoring numerous legal articles, speaking frequently at legal seminars, and mentoring other lawyers at Figari + Davenport. “Building a Practice in Litigation Consulting or as an Expert Witness,” sponsored by the Real Estate Appraisal Institute, May 2006. “Winning Commercial Cases in Federal Courts,” sponsored by the Center for American and International Law, June, 2005. “Piercing the Corporate Veil – Liability Flowing from an Abuse of the Corporate Privilege,” sponsored by the Dallas, Collin County and Plano Bar Associations, October, 2001. “Land Use Litigation,” sponsored by the Dallas Multi-Family Builders Council, June, 1997. “Texas Civil Procedure, Annual Survey of Texas Law,” Southern Methodist University Law Review (formerly Southwestern Law Journal), annually from 1973-1995. “The 1993 Amendments to the Federal Rules of Civil Procedure – Bane or Boon?”, sponsored by the Continuing Legal Education Clinic of the Dallas Bar Association, January, 1994. “Recent Amendments to the Federal Rules of Civil Procedure,” sponsored by the Business Litigation Section of the Dallas Bar Association, November, 1993. “Civil Litigation Arising From a Failed Financial Institution,” sponsored by the SMU School of Law, November, 1992,.Dallas, Conference Co-Chairman. “Effective Cross-Examination,” Litigation Super Seminar: Learning from the Masters, sponsored by the Dallas Bar Association, September, 1992, Dallas. “What Lawyers and Judges Expect of Each Other?”, sponsored by the Dallas Bar Association – Panelist, Civil Bench/Bar Conference, September, 1992, The Woodlands, Texas. “Cross Examination From the Perspective of the Accountant Serving as an Expert Witness,” Litigation Services Conference, sponsored by the Texas Society of Certified Public Accountants, May, 1992, Dallas. “Paper Discovery: Admissions & Interrogatories,” sponsored by the University of Houston Law Center, Advanced Civil Discovery, 1988 - Houston and Dallas, 1989 - Houston and Dallas, and 1990 - Houston. “Litigation Strategies,” Lender Liability Conference, sponsored by Infocast, 1989, Dallas. “It’s a Jungle Out There. The Value of Legal Civilization – The Media’s Lionization of Rambo Litigation,” presented by the Media Relations Committee, Dallas Bar Association, May, 1989. “Banks Under Attack,” sponsored by the Section of Litigation, American Bar Association, 1988 - Dallas, Los Angeles and 1989 - Dallas. “Videotaped Deposition Testimony: Evidence of the 80’s and Beyond,” Litigation (Publication of the Section of Litigation of the American Bar Association), Spring, 1988. “Peeples v. Fourth Supreme Judicial District – The Opening of a Pandora’s Box of Procedural Ills,” sponsored by the Business Litigation Section of the Dallas Bar Association, January, 1988. “Protecting the Record,” Dallas Bar Association Litigation Seminar – Trial Techniques of Successful Litigators, May, 1987. “Litigation Between a Business and Its Owners,” sponsored by the South Texas College of Law, Advanced Business Litigation Short Course, March, 1987, Houston and Dallas. “Litigation Between a Business and its Employees or Owners,” sponsored by the Advanced Civil Trial Institute, State Bar of Texas (annually from 1981-1986 (Houston and Dallas)). “Overreacting to the Problem Credit – Controlling the Financially Troubled Borrower,” InterFirst Bank Dallas, N.A., Seminar for Credit Analysts, 1981 and 1984. “Procedural Due Process of the Government Employee,” Annual Meeting of Texas Municipal Governments, sponsored by the Texas Municipal Personnel Association, 1982, San Antonio. National Institute for Trial Advocacy: “Demonstrating the Art of Summation,” 1981, Dallas. Special Torts Institute, sponsored by the State Bar of Texas, 1981 - Austin, Dallas, and Houston. “Discovery Procedures in Federal Court,” sponsored by the Dallas Bar Association and the Dallas-Fort Worth Patent Association, March, 1980. “Jury Trials in a Patent Context,” Twelfth Annual Institute on Patent Law, The Southwestern Legal Foundation (Matthew Bender & Co. 1974).